Brian Wells, formerly director of health care strategy at Merlin International, has been promoted to chief technology officer at the Englewood, Colorado-based cybersecurity company. Wells will serve as a liaison executive between engineering and sales in order to align development initiatives with market demand as well as oversee the company’s cybersecurity efforts in government and commercial sectors, Merlin said Monday. David Phelps, chairman and CEO of Merlin, said Wells’ experience across the areas of informatics, health care product development, management and infrastructure makes him a good fit to oversee the company’s efforts to deliver cyber platforms to the health care sector and other markets. 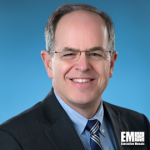 Wells joined Merlin in June 2017 after his 10-year tenure with the University of Pennsylvania Health System/Perelman School of Medicine as associate chief information officer of health technology and academic computing. He is a fellow of the Healthcare Information and Management Systems Society and founder and former CTO of InteHealth.